When we partnered with Lowbrow Customs a few years ago in support of Babes Ride Out events, we were psyched to be associated with them. 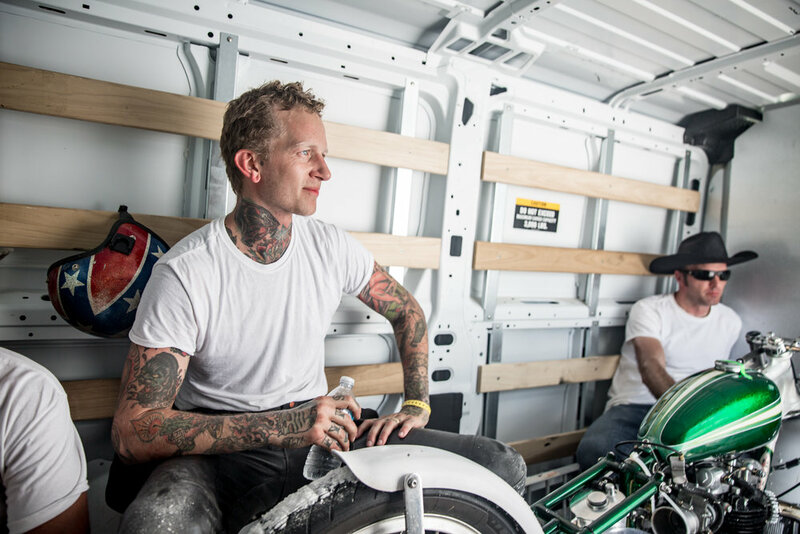 These guys ride, they race, they wrench, and they truly care about the future of motorcycling. 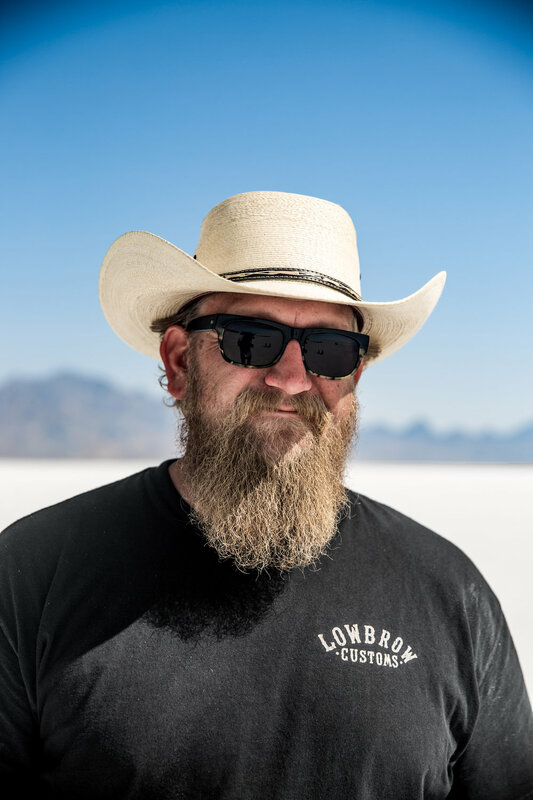 Leaving off from the last time we spoke with Tyler on what its like to break records at Bonneville Speed Week, we get an entirely new outlook and update on how he had to up the speed and push it even further. 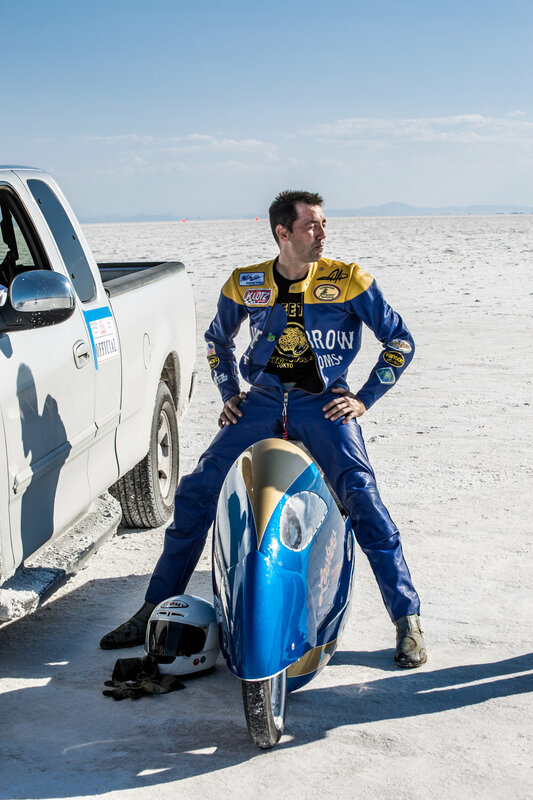 Did he beat the Swedish duo and gain back his title at Bonneville Speed Week? Read on and find out! 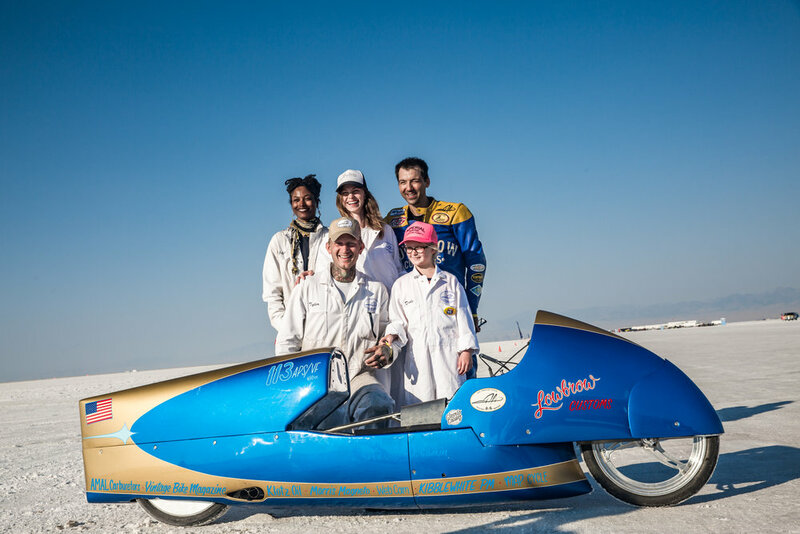 So last time we spoke I was looking forward to racing at Bonneville Speed Week in August 2017. 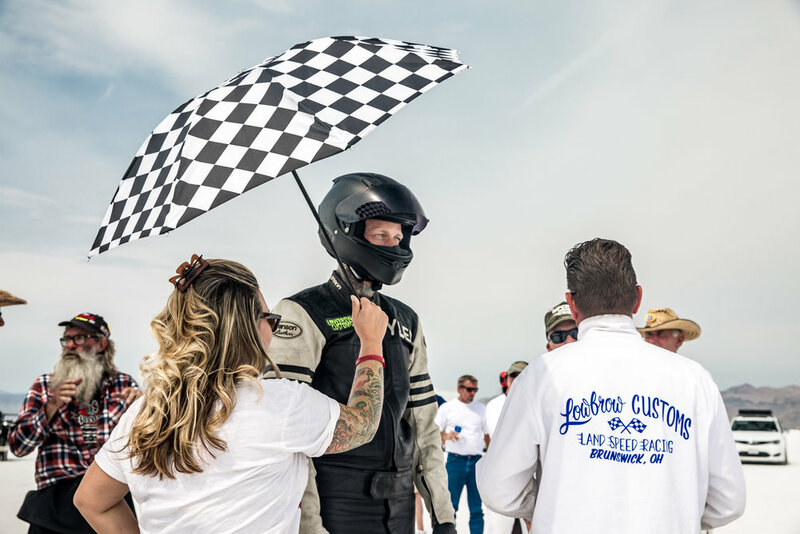 The basic backstory being that the first land speed record I ever set back in 2011 on Poison Ivy (I have broken records repeatedly in five different classes on two motorcycles since then) was beat during Speed Week 2016, during which time I was getting married and so I wasn’t out racing! The record was for the A-VG 750 class. 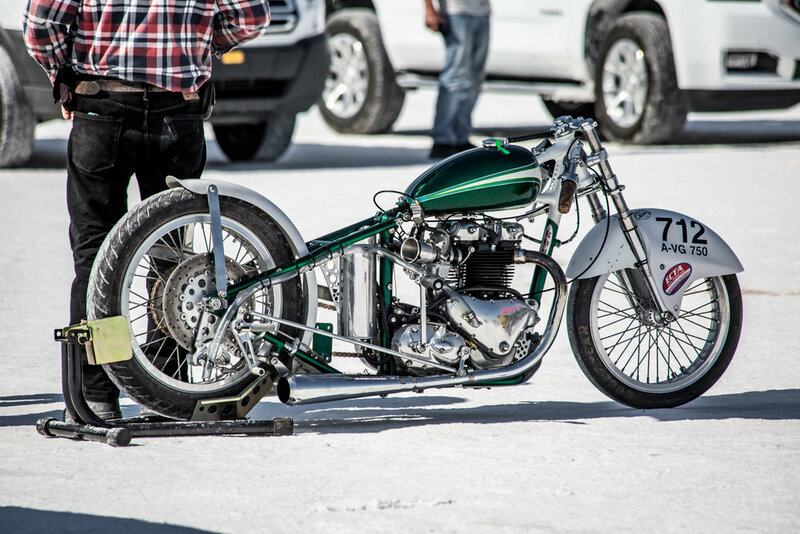 The A stands for Special Construction, which means a purpose built race bike, not a modified stock bike. 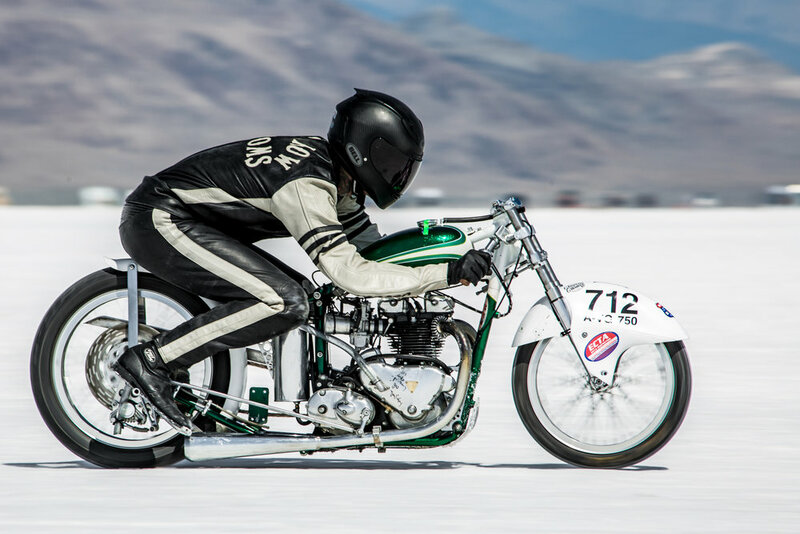 The V stands for Vintage, which at Bonneville means 1955 and earlier. The G stands for gas, as I would be running gasoline as opposed to methanol, nitro, or any other fuel. 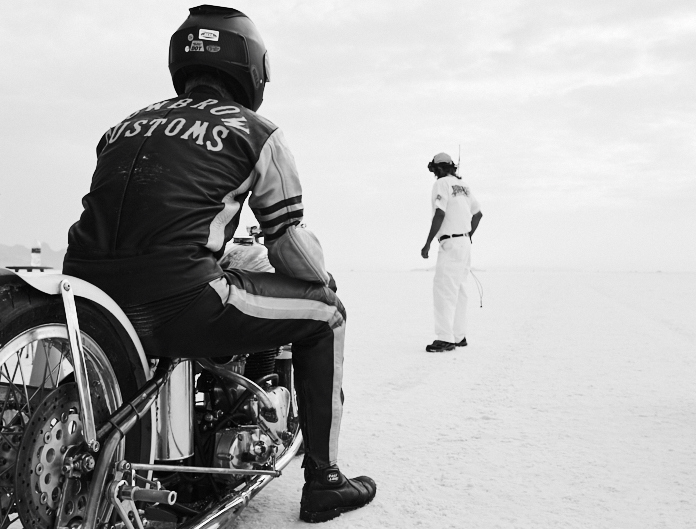 At Bonneville Speed Week, you have to qualify for a record by riding faster than the existing record. You then make a back-up run the following morning. The average of those two runs is a new record if it exceeds the current record. 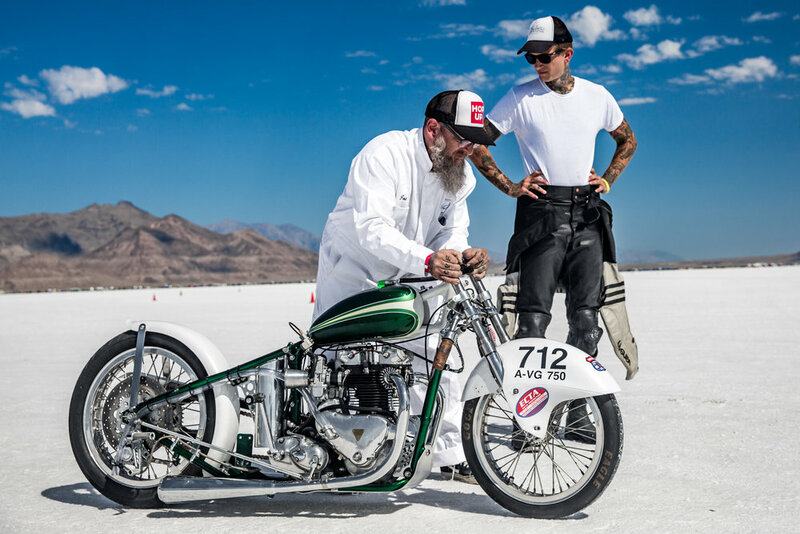 The original record I set on my 1955 Triumph was 117.108 mph, and this was beat in 2016 by an all-around nice guy from Switzerland named Patrick and his nephew Nick. 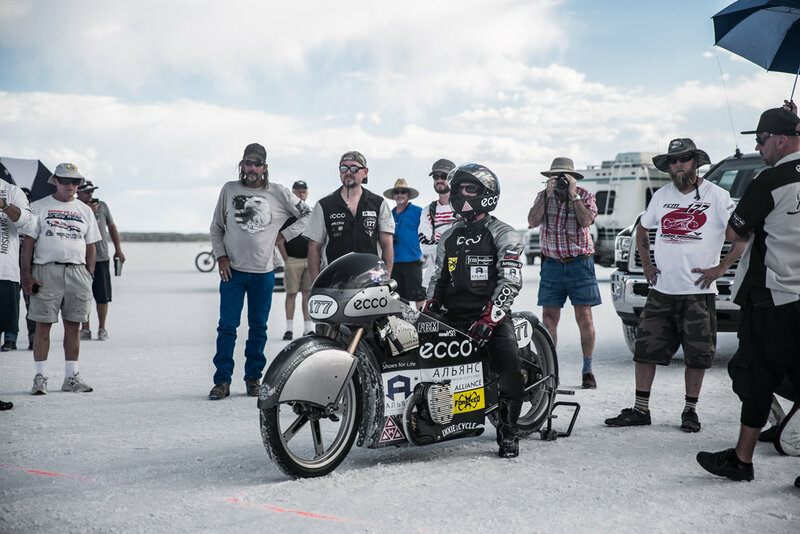 They upped the A-VG 750cc record to 123.534 mph. 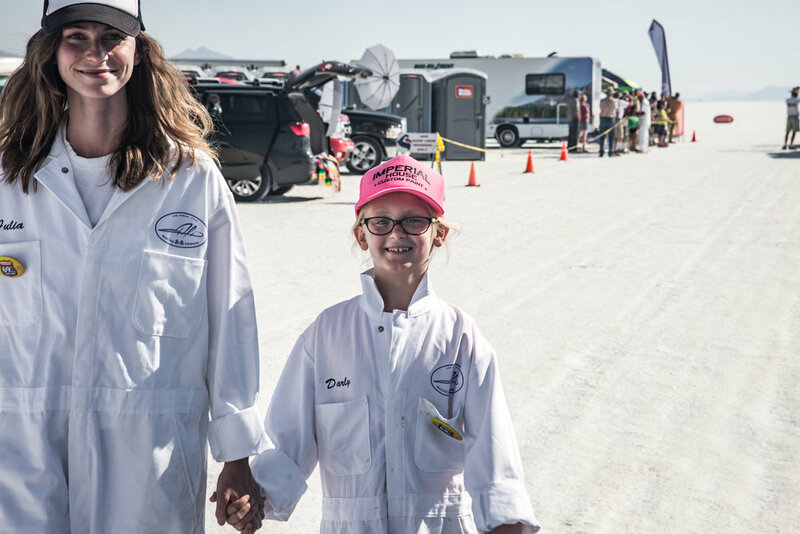 I got to meet them at Speed Week 2017 as we raced, them trying to bump their record higher without success, and me trying to beat their top speed and reclaim the record. 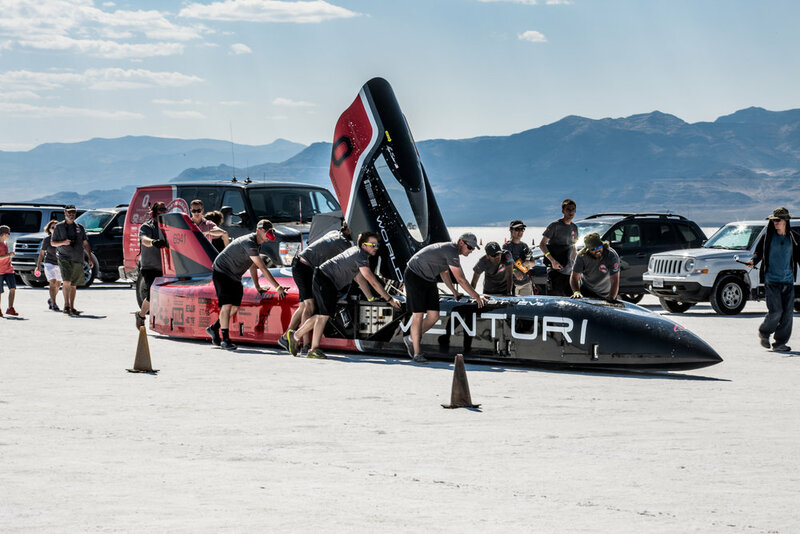 Speed Week this year may have been the most fun I have ever had racing despite the fact that I was not able to achieve fast enough speeds to take the record back. 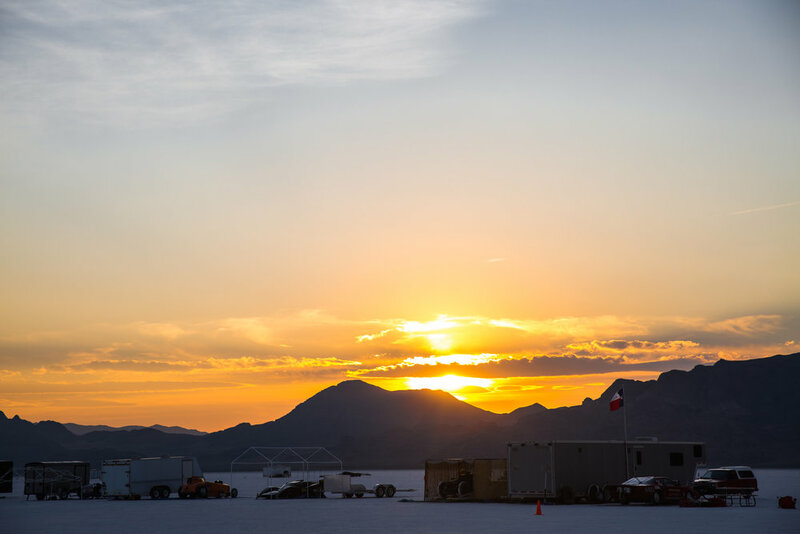 It was a very long week where we saw the sun rise and set on the salt each day in our pursuit of speed, and we typically didn’t eat all day, saving up our appetites for one massive meal at the bar while we had drinks, relaxed and discussed the events of the day. 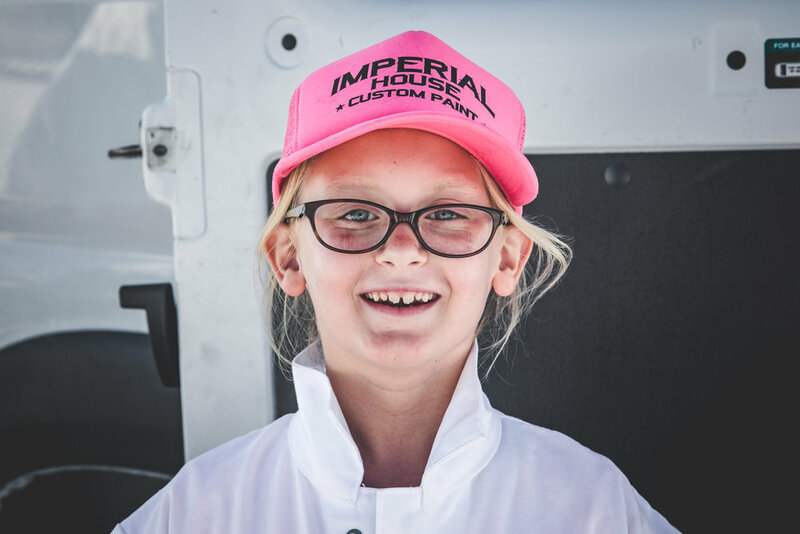 One of my favorite parts about racing is that I get to spend time with some of my favorite people in the world. 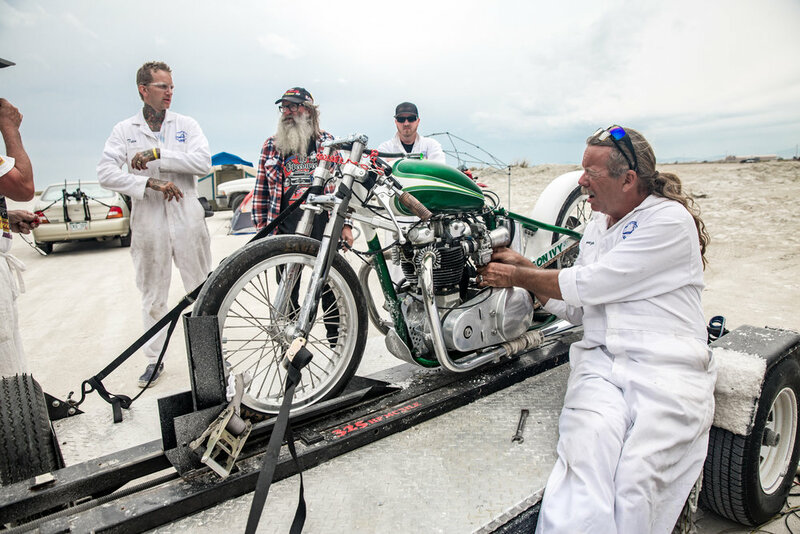 Friends and family come out to help crew and work on the bikes and spend time together from all across the USA, Canada and even Australia. 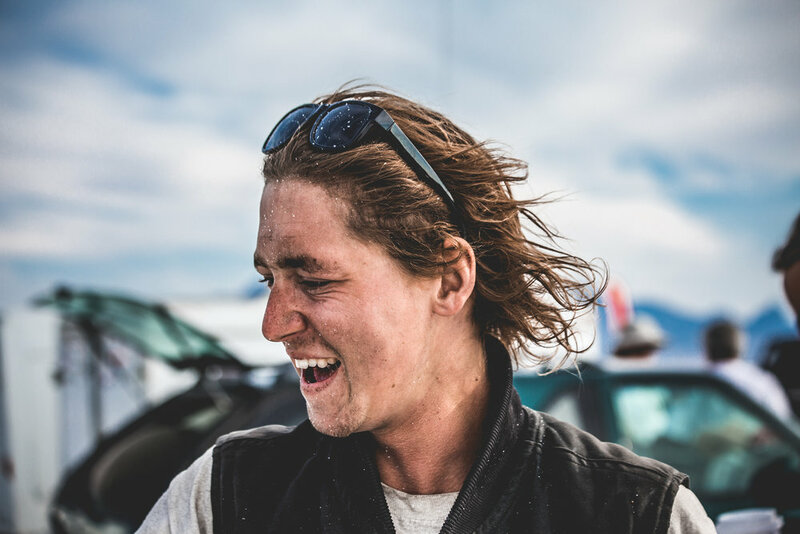 Racing really is a rollercoaster of emotions, and that goes for the whole crew, not just myself as the builder and rider. Everyone is personally invested in the outcome, and works hard as a team physically and mentally to solve problems and make progress. I was less than 2 mph off the record during Speed Week, and while the bike performed consistently, it was consistently too slow. 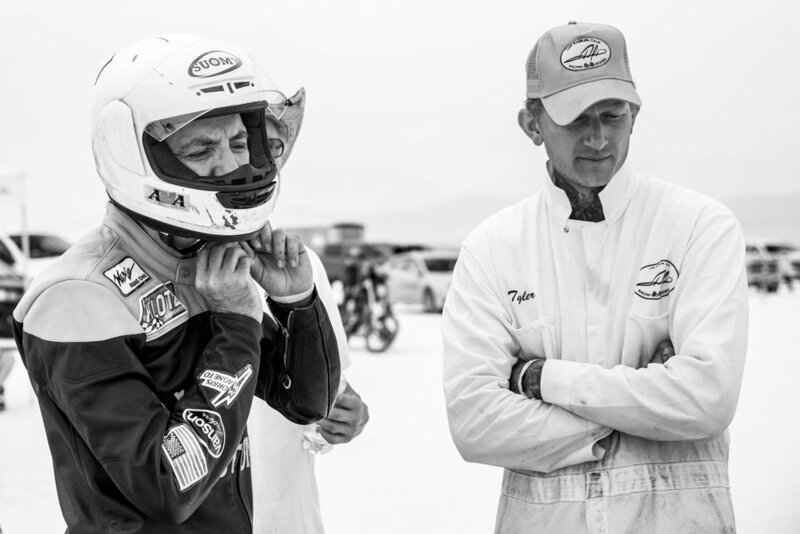 Before even leaving the salt flats I had formed plans in my head to come back out a short few weeks later for a four day event called World of Speed, which runs against the same records and classes though it is a much smaller event that takes place during the cooler weather of mid-September. Upon getting back to my home garage where I build my race bikes I pulled the head off the engine and found several small cracks in my cylinder barrel. This explained the lowered compression I had found while racing, and would account for some of the issues I had while racing. I was able to procure a new cylinder barrel from Todd at Lowbrow and get it bored and the top end of the engine rebuilt, ready for World of Speed. 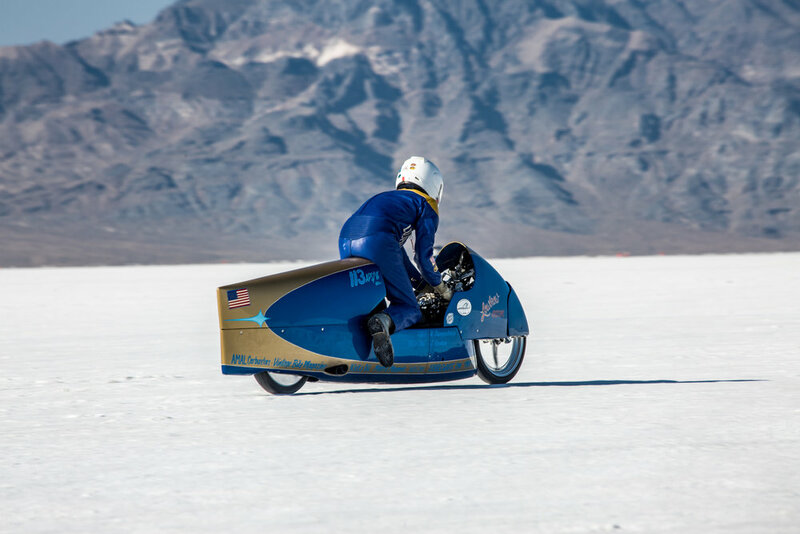 After dialing in the rest of the chassis and doing quick-fixes on some of the small issues, such as a cracked muffler and fender mount, it was back to Bonneville! We arrived at World of Speed with a small crew, most of our friends couldn’t make it back out due to family or work obligations. 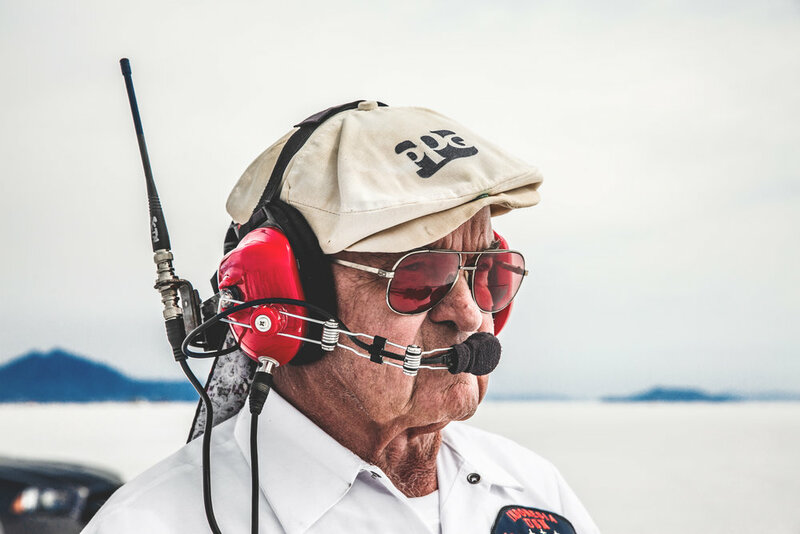 The four day event started out stressful, with 20-30 mph winds all day Friday meaning that there was a hold on the course for safety, and no racing. My bike sat at the start line, first in line and ready to go, but the winds make it too dangerous for top speed endeavors. Saturday morning we rose to a beautiful day, virtually no wind and a gorgeous sunrise as we got out to the race course and prepared to run. My first couple runs were disappointing to say the least, with the engine breaking up at high RPM in 3rd and 4th gear. I was chasing a potential fuel problem when we realized it was ignition and quickly found bad corrosion on the spark plug wire terminals where they enter the magneto. We made a new set of spark plug wires as we waiting in line for our next turn to run. Taking of the line the bike revved through first gear faster than ever, I ran through the gears and it felt like a new motorcycle! I tucked in as small and tight as possible and watched my GPS speedometer as it pulled up to 124, ticked to 125 as I ran the two timed miles at wide open throttle. I pulled off the course to the return road and was elated, I had qualified for a new record; now I just had to back it up. 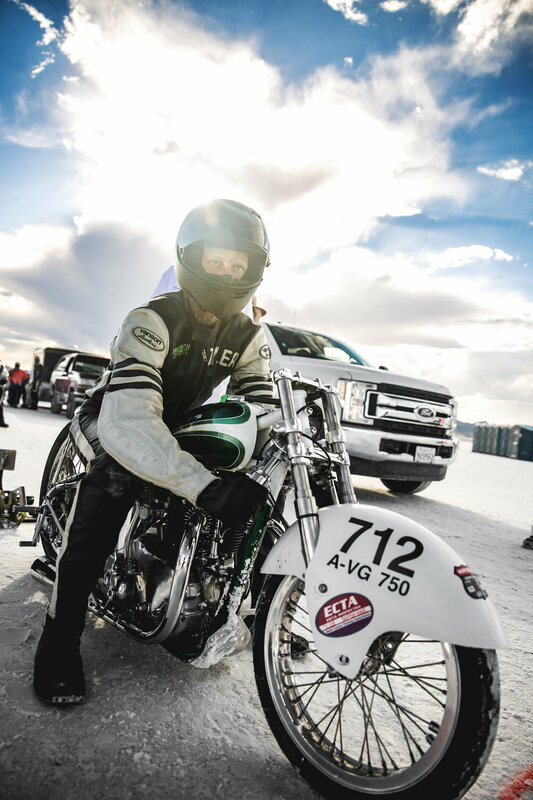 I had qualified for the record at 124.207mph, only a slight .673 mph over the existing record! My back up run was almost a duplicate of the first, with an average of 124.980 mph, and a top speed at the 2-1/4 mark of 125.1888. 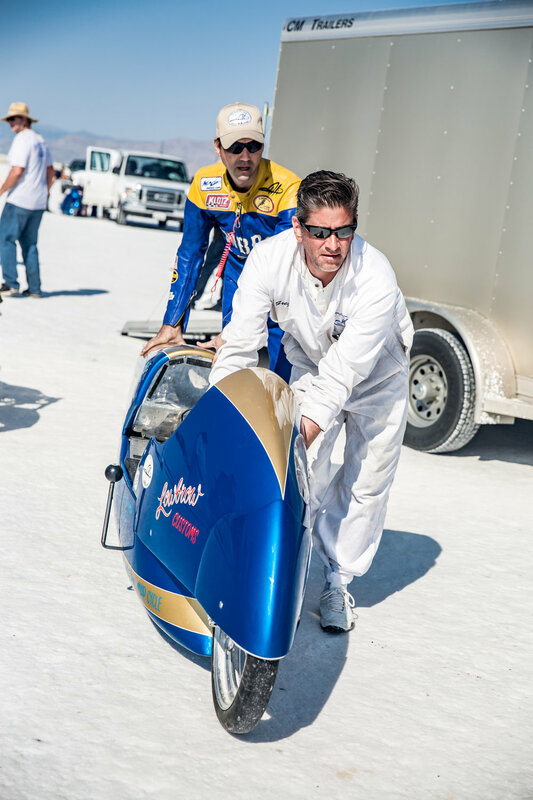 The two way average of 124.593 mph, just a hair over 1 mph faster than the record. 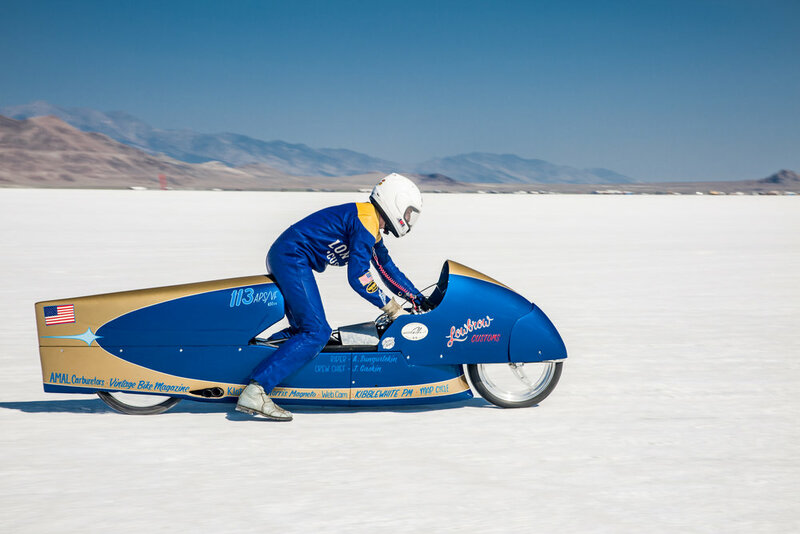 It took more work than I had anticipated, but I was successful in my quest to regain my first land speed record. 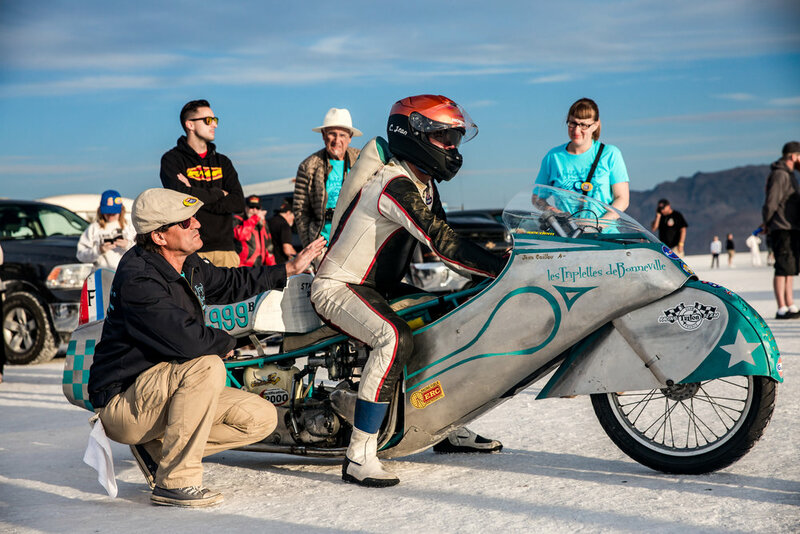 I have plans for Poison Ivy for next year, to bump up the speeds on my Gas record and to start running some methanol and nitromethane in the Fuel class to achieve higher speeds and to learn more about motorcycles and the pursuit of top speed. Stay tuned!